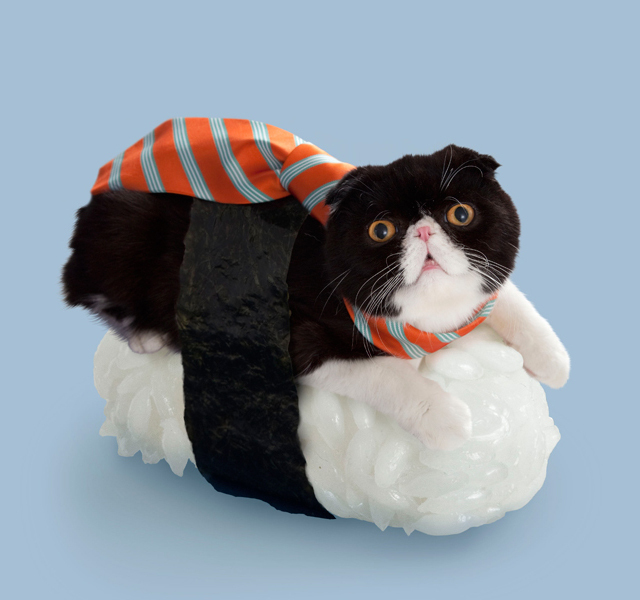 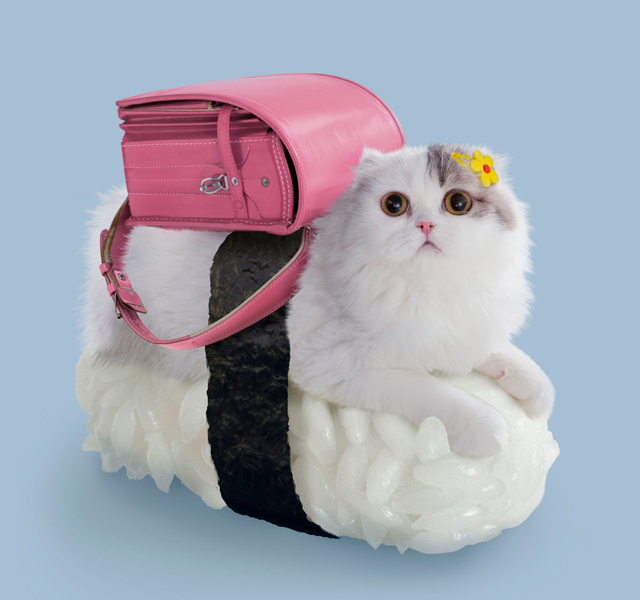 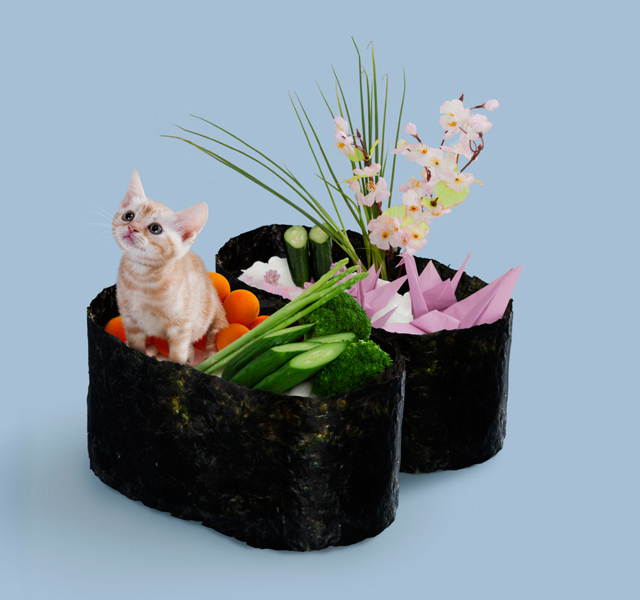 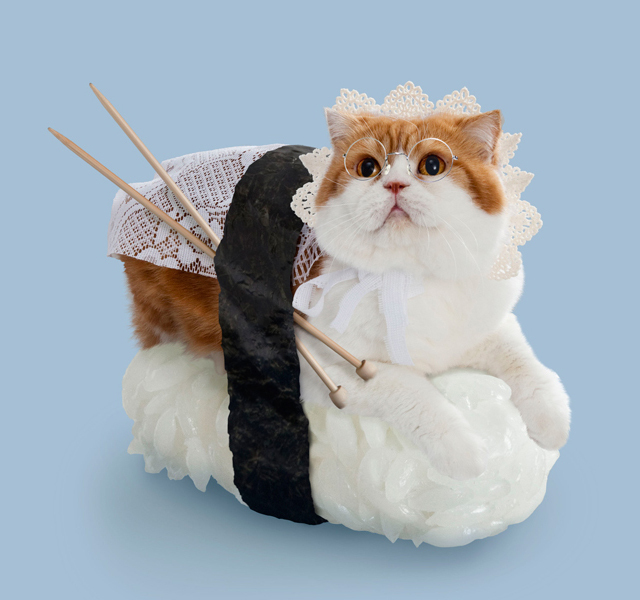 Sushi Cats (Neko-Sushi) by the Japan-based company Tange & Nakimushi Peanuts are a series of photographs of cute dressed up felines resting on top of sushi rice. 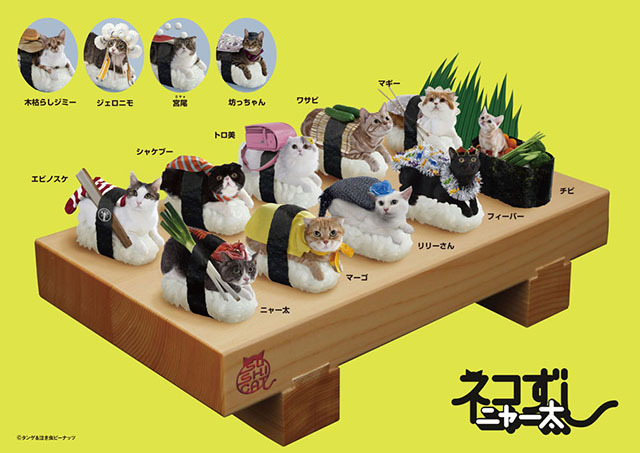 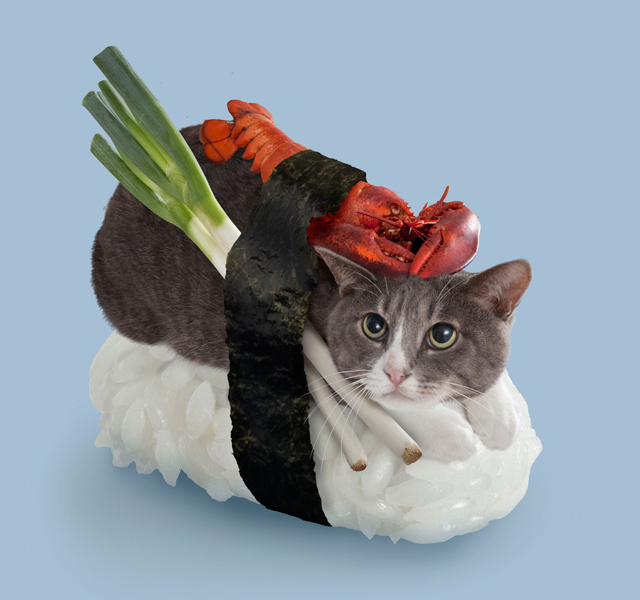 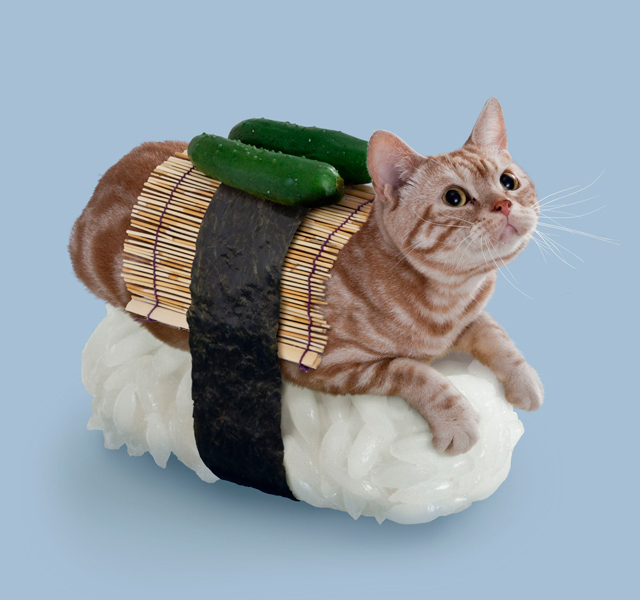 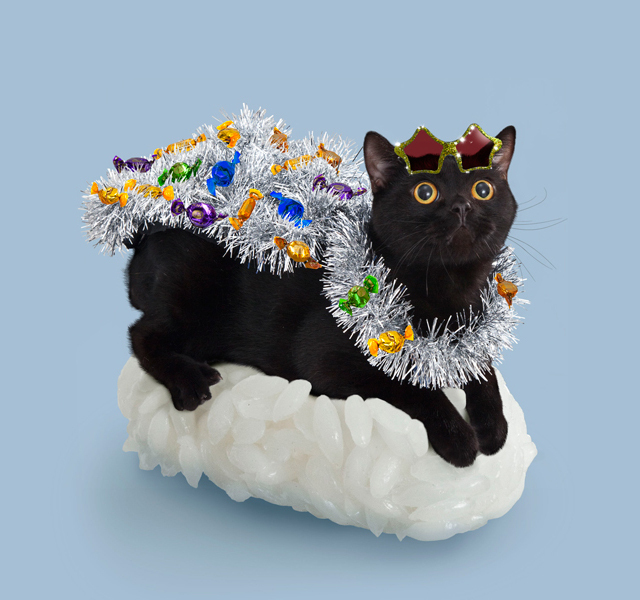 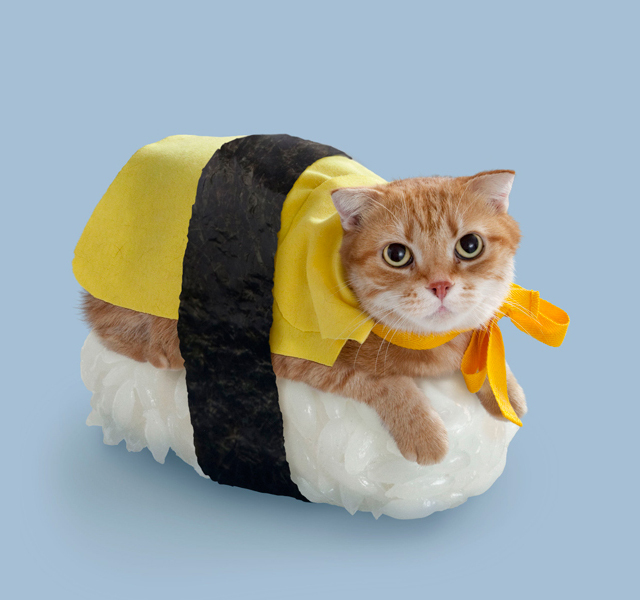 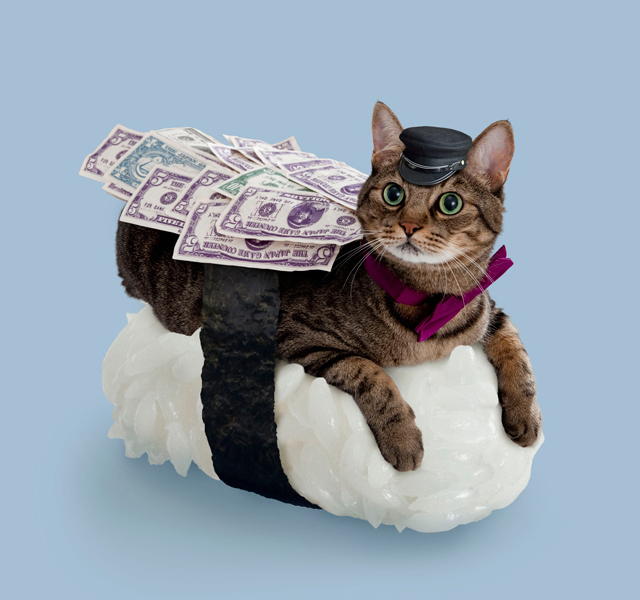 According to the History of Sushi Cats video (seen below), the cats are a magical and historical creature that have been influencing humans since the beginning of time. 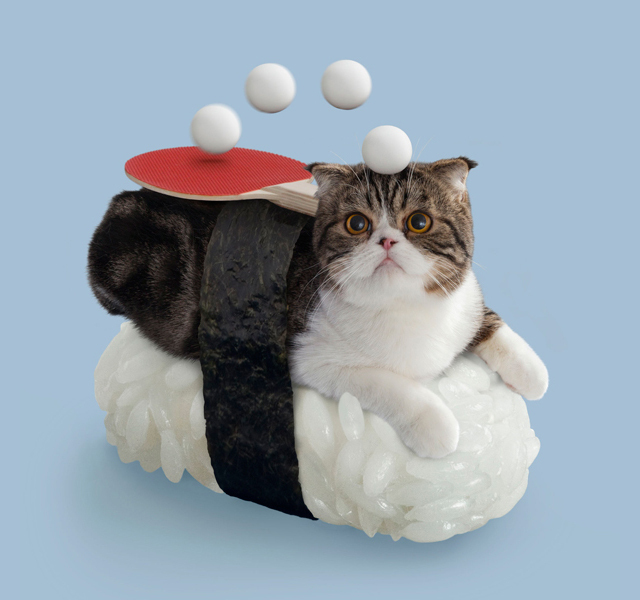 Tange & Nakimushi Peanuts has released a mobile game app for iPhone and Android phones featuring the Sushi Cats. 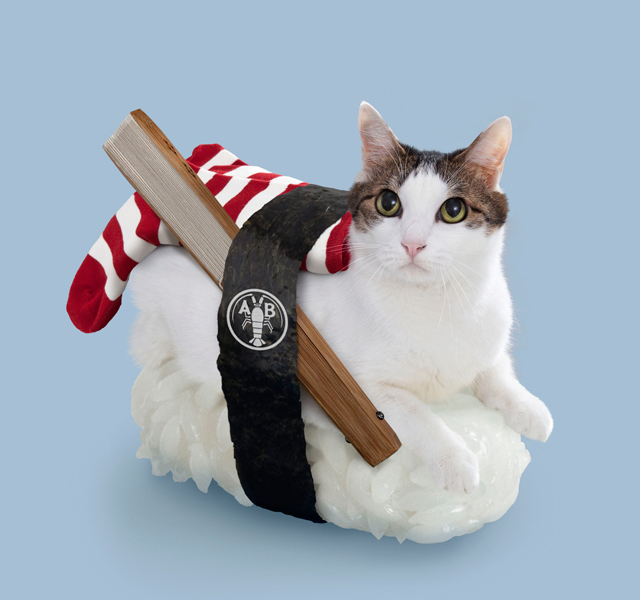 They also have an online store that offers photo prints, postcards and more (only available in Japan).